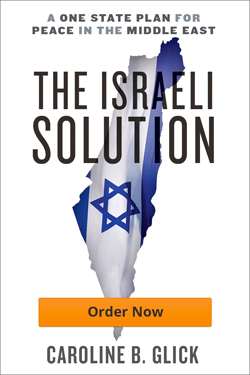 On May 19 I spoke about my book, The Israeli Solution, in Washington, for The Endowment for Middle East Truth (EMET). Video of the speech and a separate video of the question-and-answer session is below. Here is the Q and A session that followed my address to EMET. I actually think it is in a way more important than the address itself because in the Q and A I answer many of the concerns that people have expressed about the policy of Israeli sovereignty over all of Judea and Samaria that I set out in my book.